The humble apostrophe – never has a punctuation mark got so many people hot under the collar. People message me on a daily basis with examples of misplaced apostrophes (“Saw this and thought of you…”). I even created the #apostroppy hashtag to share uses of apostrophe abuse across social media. Ultimately, mocking apostrophe misuse – or getting wound up by imposter apostrophes (imposterophes?) – doesn’t help if you’re one of the many who finds it tricky knowing where to stick the little blighters. Like most things in life, it’s easy when you know how. And if you don’t know how, let me show you. Here, in simple terms*, is my beginners’ guide** to apostrophes… and where to stick them. This is where two words are squished together to sound more informal – like when you are becomes you’re. This is where you want to show that X belongs to Y – the dog’s blanket, for example. These shortened forms are called contractions. The apostrophe fits into the contraction to show where letters are missing – simple as that. This is where things get a little more tricky. Possessive apostrophes show that a thing (a noun) belongs to something, or someone. Style guides differ in their guidance on whether to write Charles’ or Charles’s, Dickens’ or Dickens’s and the like. Here it’s okay to pick the one that sounds best, as long as you use it consistently throughout your document. Just don’t make the mistake a Northern Ireland council made, when they wrote Charles Dicken’s Great Expectations instead of Charles Dickens’ Great Expectations. Reprinting the giant advertising poster was reported to have cost taxpayers over £1,000. 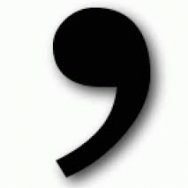 One of the most common apostrophe mistakes is sticking an apostrophe in the word its to show something belongs to IT. But this rule doesn’t apply to pronouns – its, yours, his, hers, ours, theirs. It’s is always a contraction of it is or it has. Its describes something that belongs to it. When do plurals need an apostrophe? You’ve heard of the grocers’ apostrophe, right? Most commonly spotted on market stalls advertising BANANA’S, APPLE’S and PLUM’S , those grocers are completely wrong. Because you should never – I repeat, NEVER – use an apostrophe in plural words. Cats, pens, teachers, apples, words… no apostrophe. Even when the word ends in a vowel: tomatoes, potatoes, videos… still no apostrophe. Even when the word is an abbreviation: CDs, DVDs, MOTs… still no apostrophe. It’s a simple rule, and there are no exceptions to trip you up. No matter how many times you see an apostrophe intended to show that there’s more than one of something, it’s always wrong. Always. So, there we have it. Your beginners’ guide to using apostrophes. I never said it would be short. Feel free to tweet me or email if you’ve any questions. Want more information on how to use apostrophes? *Remember how I snuck a cheeky asterisk back there after ‘in simple terms’? This article is intended to cover the basics of how to use apostrophes. If you’d like to read more – or to go into more detail on certain uses of the humble apostrophe – you might find the following articles helpful. **This is a guide for beginners (plural) so the apostrophe goes after the S. You could argue that you’re a beginner and it’s your guide, and therefore the apostrophe should come before the S. And you’d be right, but as it’s intended for more than one of you, we’ll stick with convention. Way back when, it was common practice to use an apostrophe to show an abbreviation – telephone was abbreviated to ‘phone, for example. Thankfully, you no longer need to worry about this archaic type of apostrophe use. Sign up to my Clever Copy Club newsletter and receive practical marketing tips and writing tricks direct to your inbox each month.